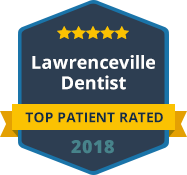 For an Invisalign dentist you can trust in Lawrenceville, call Lawrenceville Family Dental Care. We are a comprehensive, family dental practice that offers a full range of general dentistry, restorative and cosmetic dental services for children and adults of all ages. Our practice consists of an experienced dentist and a dedicated team of dental support professionals. Our dentist and staff are committed to restoring and enhancing the natural beauty of your smile using conservative, state-of-the-art dental procedures such as Invisalign to help our patients achieve beautiful, long-lasting smiles. If you are looking for Norcross Invisalign dentist you can trust, call Lawrenceville Family Dental Care. Invisalign is the breakthrough technology that lets you have the smile you have always wanted without the hassle of braces. By using a series of clear, removable aligners, Invisalign straightens your teeth with results you will notice sooner than you would expect. The course of treatment involves changing aligners approximately every two weeks, moving your teeth into a straighter position step-by-step, until you have a more beautiful smile. Unlike traditional braces, these clear aligners can be removed while you eat and brush your teeth as usual. Dr. Ashish Patel is pleased to offer this revolutionary dental treatment to the residents of Lawrenceville and Gwinnett County. We invite you to experience the Invisalign difference. For more information about the Invisalign system, contact Lawrenceville Family Dental Care today to schedule a consultation. Our dental practice is currently accepting new patients and we welcome patients with and without dental insurance. We look forward to serving you and to exceeding your expectations.